Henrietta Gertrude Meadlin Foster of Irving passed away April 2, 2019. She was born December 18, 1930 in Cooper, Texas. She was the only child of Charlie Monroe Meadlin and Virgie Elizabeth (Kesler) Meadlin but considered her many cousins as her siblings. She is preceded in death by her parents, husband George Foster of 48 years and daughter Sheila Elizabeth Foster. Henrietta attended Cooper schools having skipped the fifth grade and graduated from Cooper High School in 1948. After high school, she attended East Texas State Teacher’s College in Commerce, Texas from 1948 to 1951 having graduated in three years and majoring in Elementary Education and minoring in English. While in college, she worked in the cafeteria and print shop, and belonged to the Baptist Student Ministry. After graduating from college, she moved to Alma, Arkansas with two college friends and began teaching second grade. She taught second grade all 40 years of her career. These three friends met three friends which led Henrietta to marriage to George Foster on January 16, 1953. 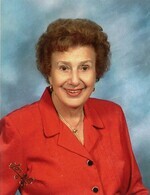 She and her family moved back to Texas in 1955 and settled in Irving. She taught second grade at Plymouth Park Elementary (now Lively Elementary), L. B. Barton Elementary, T. J. Lee Elementary and Lee Britain Elementary retiring in 1991 after 40 years of teaching. She was once named Teacher of the Month for Irving Independent School District. Henrietta was a long-time member of Oak View Baptist Church (OVBC) in Irving; President of OVBC’s Lively Oaks; taught Sunday School and Vacation Bible School, was a Golden Touch Member and worked in the kitchen. She was also a member of Alpha Delta Kappa (ADK) Sorority; a member of Irving Retired Teachers Association; The Irving Book Review Club; the TJ Lee Bridge Group and volunteered on Voting Day. She kept and taught her granddaughters when they were young and was a favorite teacher of many students in the Irving School District. She was a prayer warrior. Left to cherish her memory are daughter Sheria Jane (Foster) and husband Thomas; grandchildren Jillian Elizabeth Oswalt and Annelise Kathryn Oswalt and numerous cousins, nieces and nephews. The family will receive friends from 10:00 to 11:00 am one hour prior to the funeral service beginning at 11:00 am on Saturday, April 6, 2019 at Oak View Baptist Church 1004 South Story Road in Irving. Interment will follow Saturday at 3:00 pm at Oaklawn Cemetery, County Road 1030, Cooper, Texas. Memorial donations may be made in Henrietta’s honor to Oak View Baptist Church in Irving. The family would like to extend a special thank you to MacArthur Hills Assisted Living, Ardent Hospice and Hollymead Skilled Nursing Facility. To send flowers to the family of Henrietta G. Foster (Meadlin), please visit our Heartfelt Sympathies Store.